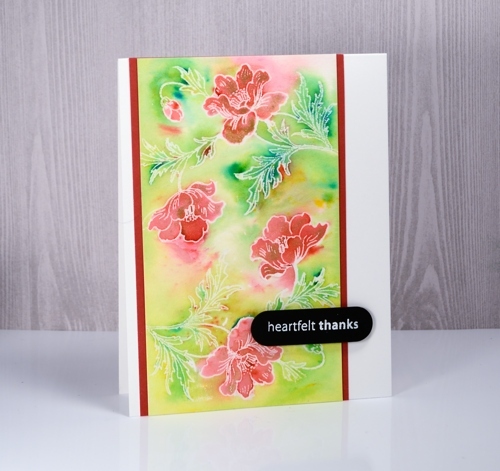 I have a tutorial for you today (gasp) which I made for SplitcoastStampers. In it I show my technique for creating a vintage style watercolour. By vintage style I am referring to muted sepia tones in this case with some blurred script and watermarks to give it an even more aged look. 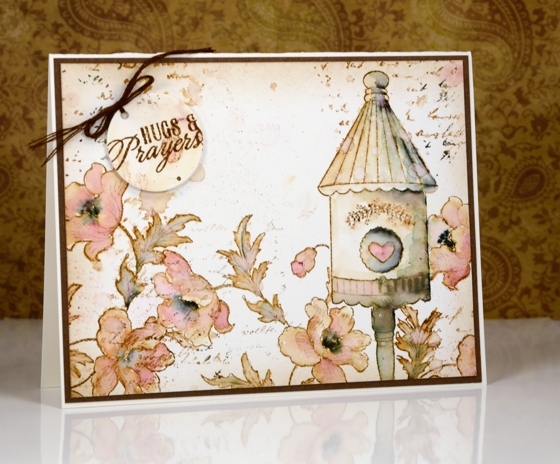 I chose a birdhouse from the Fly High set and paired it with the Playful stamp using masks to stamp all my elements before I started watercolouring. The two examples above are fairly similar; I changed the sentiment and naturally the watercolouring is not exactly the same. 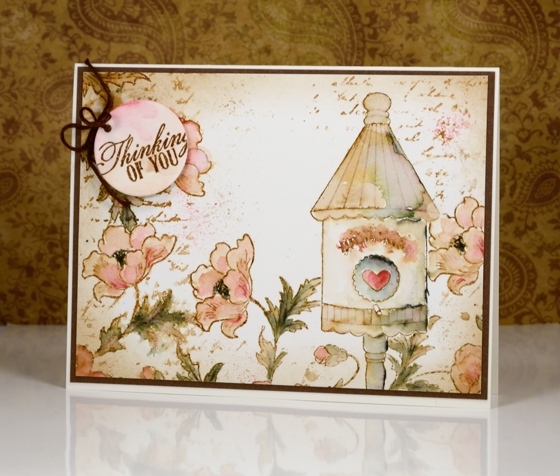 If you visit Splitcoaststampers you can see the stepped out photo tutorial or you can watch my video tutorial below. This video came together quite smoothly (with the help of my son and my husband) so here’s to more! Thank you for being so kind in your comments. You really are such an encouragement to me. 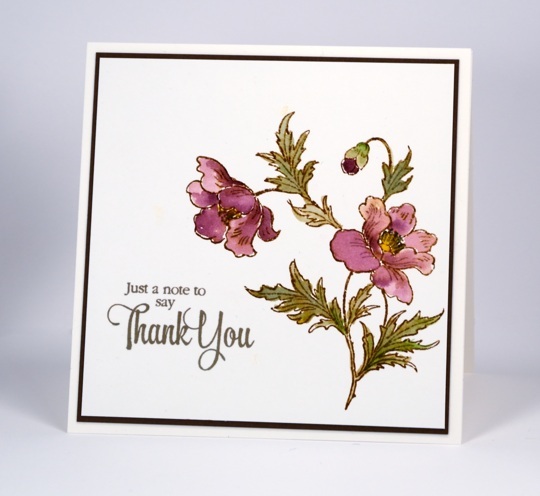 I hope you try some vintage style stamping; all you need is some brown ink and a few watercolour pencils. The fun of the elegant writer pen is entirely optional. 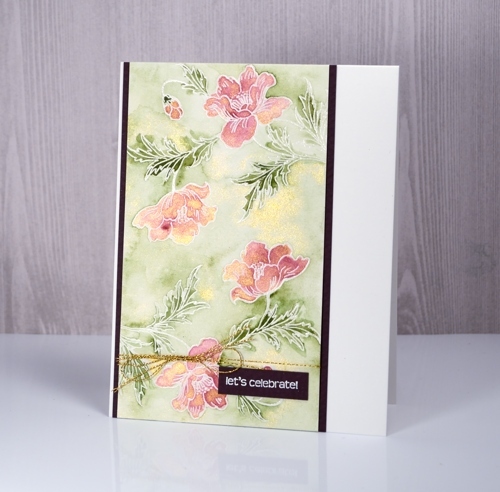 Poppies and roses feature (of course) in the latest release from Penny Black. Poppies are a favourite flower of mine but then so are roses and tulips and of course daffodils and I can’t forget sweet little pansies or gorgeous blue cornflowers. The poppies above have a matching die. 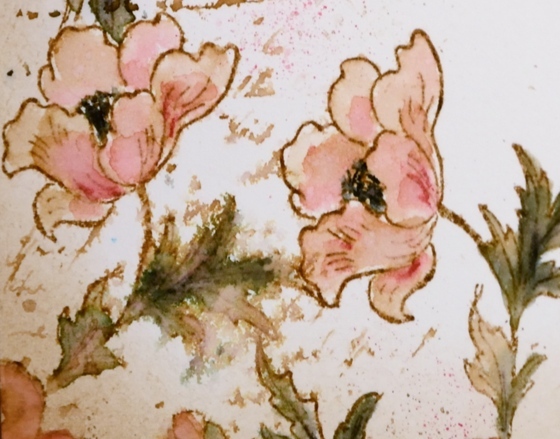 I once again stamped in watersoluble brown ink so I could blend it with the pink and green stains I painted into the outline image. 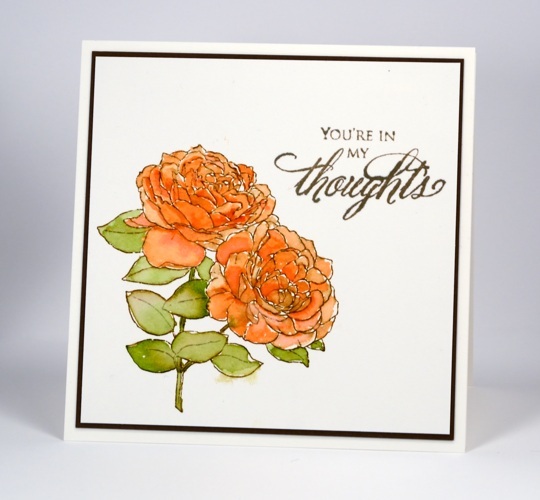 The roses are from a transparent set, Gentle Day, which includes a couple more flowers, a bird/flower collage and a few sentiments. Make sure you take a moment to enter the give away on the Penny Black blog before it ends on February 28th. ; you could pick up some of these new flowers for yourself. Thanks for dropping in today. Do you have a favourite flower? 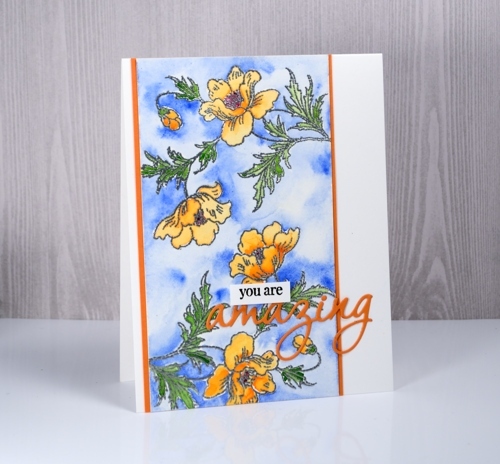 Do you have one you love as a fresh flower but a different one you like to stamp or paint?